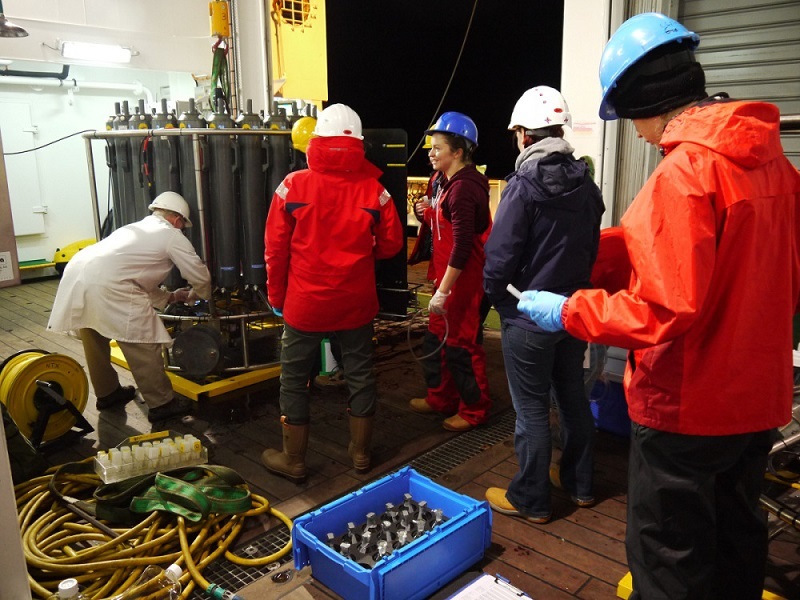 Right on schedule, at 0500 our main set of instruments hit the water to collect the first data. This package of instruments (the "CTD") is made up of several sensors that measure water temperature, saltiness, oxygen concentration, and also how many of the microscopic ocean plants there are. The long grey tubes around the outside are used to trap water (20 litres at a time) from depths where the scientists want samples for their experiments. The first data is exactly what I was hoping for. Throughout the summer this part of the sea would have had a warm, sunlit layer above deeper, colder water. As autumn and winter approach this surface layer cools and starts to get thicker, until eventually the whole of the water from the surface to the seabed (140 metres deep here) reaches the same temperature. The red lines in the left panel of the computer screen show the temperature. It’s about 14 deg C in the upper 40 metres, then drops to 12 deg C in the deeper water. In summer it would have been about 18 deg C in the upper 30 metres, and 11 deg C below. So, we’ve got here just in time to see the change in conditions towards winter. 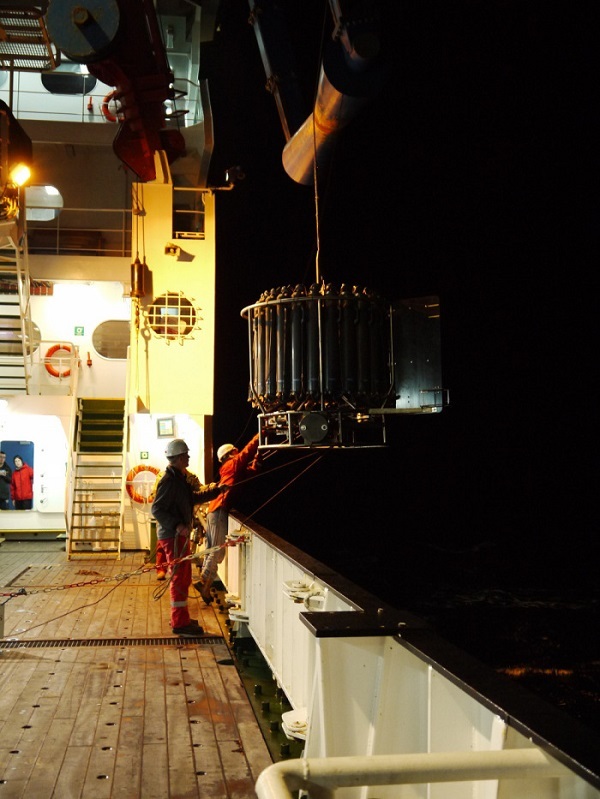 These early morning "CTD casts" are sampled a lot by the scientists. There was a big meeting last night to discuss who required how much water from what depths. Also the order in which the samples are taken is really important (samples for dissolved gases need to be taken first, while samples for salt can wait until the end).